Virtually any job that could be associated with a water loss can create a claim for mold damages many years after a project is completed – would you be covered? It was late in the day when I received the call from the insurance agent. The purchasers of the home say they are sick as a result of exposure to mold in the home. The work performed by the restorer had nothing to do with mold remediation. The plaintiffs purchased the home in 2012, six years after the contractor had completed the job. The claim involves well over $1 million in alleged damages. All of the insurance claims adjusters on the business liability insurance purchased by the contractor between the time when the work was performed and when the claim was made against the contractor were denying coverage for the claim. This one real world example of an insurance claim for mold damages perfectly illustrates most of the things I have been warning readers about for years in the pages of R&R. 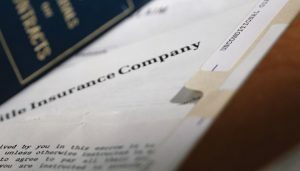 Before this instance, I was forecasting the problems that contractors would encounter based on what I knew about the insurance business and mold. Now I have a real-life example.